Spinach Omelet is a Spanish dish. 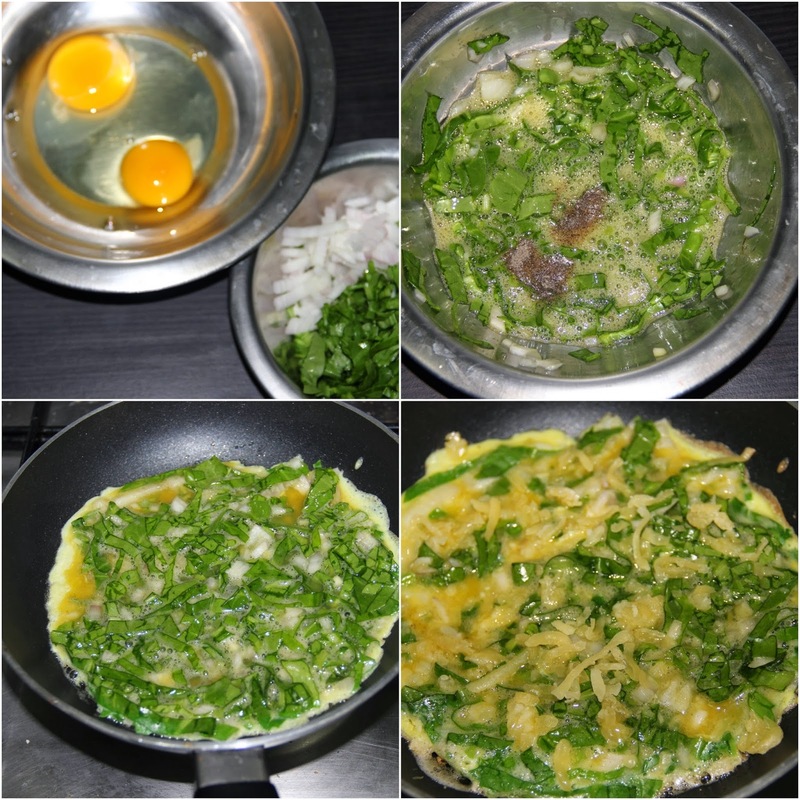 The spinach is sauteed in oil and then added to the beaten egg because the egg is generally not flipped and cooked on the other side. But here, I have flipped the egg and cooked the other side as well. Since the spinach leaves are edible as raw, I have planned to make them without sauteing it. I am reluctant to loose any nutrients from the leafy spinach. But combined with the egg the spinach leaves do not taste raw and are actually tasty. In a bowl crack two eggs and beat well till frothy. Add spinach, onion, pepper and salt and mix well. Heat a shallow pan and the oil then add the egg mixture and spread as round shape. On top of that sprinkle the cheese as a thin layer. Flip the egg and cook for a minute and serve with bread.